I have a pair of the Kong gloves. Reasonably warm, but just like every glove I've had not as durable as I had hoped. I'm also constantly searching for a better glove with no luck yet. Neos are not good for rappelling as they substantially reduce grip on the rope. Not a fan of wet leather as it tends to be very slick, especially when rappelling...I do like leather for long, dry raps in the 250' or greater range. 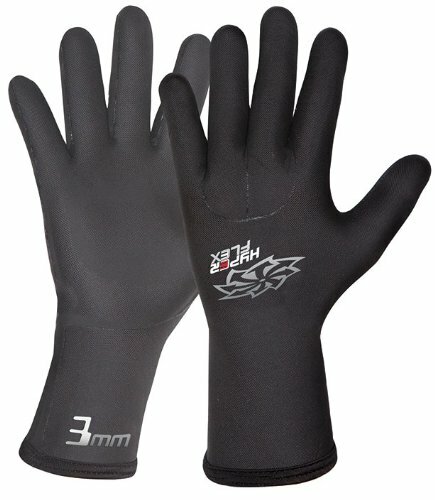 If you like leather (for the right application), PMI goat leather gloves are my personal favorites. The fingers offer good dexterity (for a leather glove) and the added layers are in the right places for wear points. A little pricey but will last if cared for properly...I typically get 1-2 years out of a pair. When it's warm enough, I don't use any gloves -- just have to set the friction right and it's no issue. When it's cold, I use 3mm neoprene gloves with kevlar palms. Without the kevlar palms, I'd eat through a pair of gloves in one or two canyons, but the kevlar palms seem to make them last pretty well. They are substantially harder to grip the rope with, but again, just have to set the friction right and it's no issue. 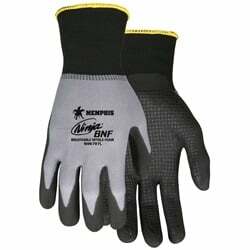 In a big box outdoors store, the kevlar palms are usually around $50, but I can usually find them for $20-$30 when I want a new pair. The only pretreatment I give them is Aquaseal on the finger seams. Which gloves are you using that have the kevlar palm? How well do they hold up between your thumb and finger where the rope runs? Last section of Heaps, when wet, does not have many rappels - you know, only 10 or so. For this I sometimes bring a thick neoprene glove, then pull them off for the rappels and rap bare-handed, put the gloves back on as soon as I get down. Neoprene gloves very dangerous for rappelling - bulk restricts grasping ability, and the friction on them is not good. Can you elaborate on the dangers of neoprene? I used to use my neoprene kayaking gloves, but recently switched to the atlas. However, my GF still prefers the neoprene. I don’t recall having a friction issue with the neoprene. It depends on the thickness of the neoprene, and what the gripping surface is like, but most of the ones I have used have enough BULK that it makes feeling and squeezing the rope quite difficult. Add to that a kinda slick surface (maybe), and what you have is something that does not work. Having cold hands would not help. YMMV You might have a specific glove that works. When the water is cold and frequent, I've used these (or a variation on this): http://www.amazon.com/dp/B000EORGP4...e=395261&creativeASIN=B000EORGP4&linkCode=asn. The rope feel obviously isn't the same as a bare hand, but it seemed sufficient on wet rope with wet gloves. Real suede seems to "polish", but the synthetic suede hasn't (maybe that's because I lose the glove before that happens ). They have a nice rubbery textured grip in the palm and they are not too bulky to tightly grip a wet 8mm rope. I have had no problems rappelling in these. Prior to using them in-canyon I tested them in an ice-bath in my sink and my hands were nice and comfy down to the low thirties. I've tried a few other types of neo gloves that were either impossible to grip the rope with or had poorly sealed seams and were not warm enough. I have yet to try the dishwasher glove combo so I can offer no comparison at this point. I tried the U.S. Divers Comfo 2mm and I found that those were not warm enough in the mid-forty degree temp range but the grip was decent. Atlas is DEAD! Long live the PowerGrip!!! I've converted to a new glove that is LIKE the Atlas, but quite a bit better. Warmer, more durable, wears in a better pattern. Inexpensive. Stevee B and wsbpress like this. Gotta love when a way of helping yourself is causing a non-freezing cold injury. For reals though, that is why I don't need neoprene booties (although I still use them.) I got "immersion foot" hiking Kanarra Creek in October a few years back and ever since have had less thermal sensation in my feet. I wonder if you got "trench foot", a term that originally goes back to trench warfare in World War I? Wikipedia is your friend. I'm using this glove of late, so far it's been impressive. Pros: Very light weight, great finger dexterity, acceptable protection, doesn't absorb water, breathable material, under $7. Cons: Not a winter glove. But... but you use a RACK, which has very different dynamics than what we use. We (well, ME) sometimes use a "lot of glove" if we don't get the friction right, whereas your rack is always adjustable. HOW IS THE FRICTION on that glove? Friction was good; rappelling, scrambling, stemming, etc. And I could operate the camera without removing it. Actually, last time I wore THIS glove rappelling, I was on the SQUWREL. Very happy with its performance (gloves and squwrel). It would not be a good long rap glove, but I'm usually leather (brake-hand) when I know there's going to be significant heat. This model (15 gauge) is quite thin - light, so it wouldn't provide much heat protection. The mfg also makes a 13 and 10 gauge (heavier gloves), same basic style. And who wouldn't want to wear a glove with Ninja on it...gotta be an endorsement! After Ram's advice, this last trip through Heaps I used a dishwashing glove (forgot rubber bands), and the grey Atlas. It was a perfect combination of warmth and gripping ability. The key with thick neoprenes is to get the kayaking kind with pre-articulated fingers. I used a pair of 5mm for awhile and they were the ticket for winter descents of Kolob, Imlay, etc. Not only could I control my rappels well, I could tie and untie knots without having to take them off. They wore holes quickly but even with many holes and becoming practically fingerless, they provided a surprising amount of warmth and had a reasonable useful life. I had NRS, I believe, but will check out those MECs for sure. I've yet to try Ram's dishwashing / atlas (or Powergrab) combo but plan to, pretty hard to beat that price point if it works even halfway well.